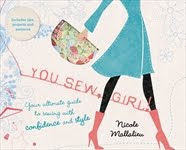 In between teaching and working on the book manuscript, lately I've been doing a bit of think-music sewing. I've been freshening up the samples for classes and for the trip to Quilt Market in Portland and freeing up my mind as I sew up old standards. This Large Tote bag is pimped up with techniques from the Zippers for Bags workshop. 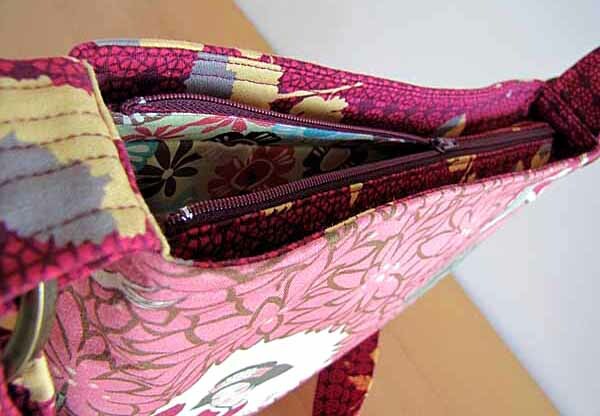 I'll be teaching the Zippers For Bags workshop at Addicted To Fabric in Canberra in a few weeks, and I've just scheduled another one for 27th April, here in my studio in Northcote (you can book into that one here). I finished off these two bags from samples that were used to demonstrate the various stages of zipper methods in classes. I thought it was a shame to waste the gorgeous fabrics by not finishing the bags. I love this old Robyn Pandolf print (below). 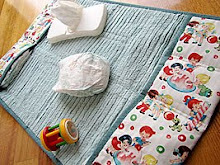 It's a lightweight quilting fabric, teamed with decor-weight Joel Dewberry fabric. 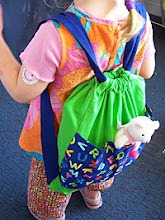 I used Vilene S320 and wadding (fleece) to plump up the fabrics to give them the same sort of structure. I've also been sewing (and delegating a bit of sewing) of samples for the Quilt Market display. 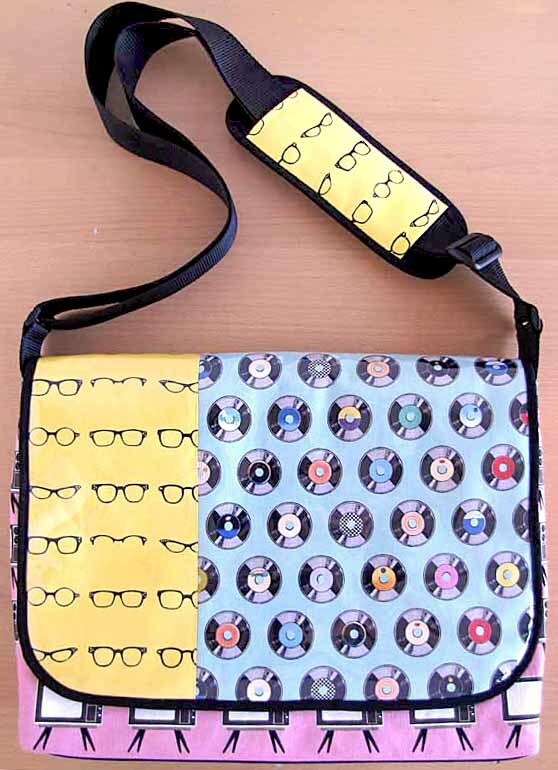 We've been using some new Riley Blake fabrics, like on this Geeky Chic Laptop Bag, so we can do a bit of cross-promotion at the show. I'd forgotten what a satisfying sew the Laptop Bag is. 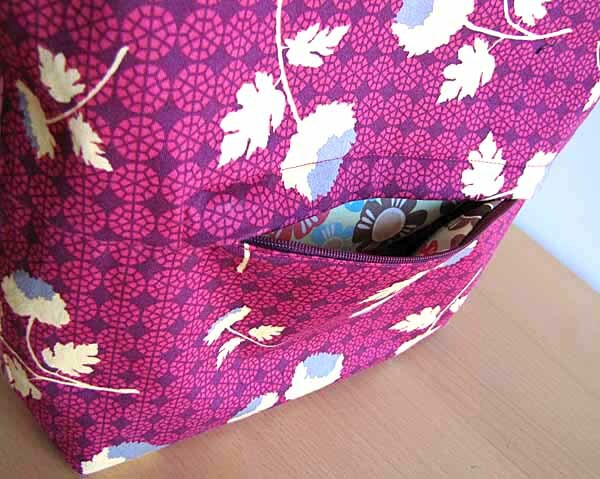 It's a lot of cutting and a lot of different components, but none of the sewing is actually too difficult. And when it comes together, it looks really sharp. Again, I've used Vilene S320 and fusible wadding to give the light fabric the structure it needs, and because it fuses like a dream. I had to do a bit of patching-together to make the laptop sleeve (I ran out of fabric), but I didn't want to leave it without the vital component for carrying a computer, since that's what the design says it's meant to carry. Mind you, I've seen this bag used as a nappy (diaper) bag, and more often as a college or school bag, and as a general-purpose messenger-style tote. 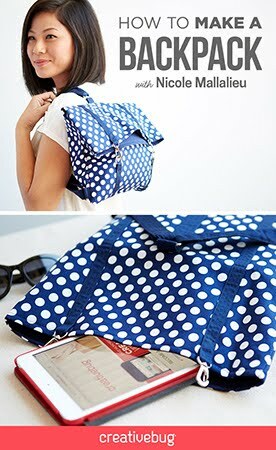 The expandable pocket inside the bag fits an iPad in its case, very comfortably. I also made the Sling Bag, and I think that this is the very best version of it I've ever made, and I just adore the super-fresh print from the Serenity range from Riley Blake. I took the time to take the interfacing off all the seam allowances, and it made a massive difference to the overall finish. 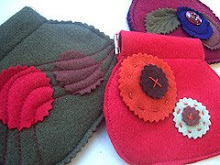 It's a while since I've made a Sling bag, and I notice each time I remake an older design, just how far my skills have come over the last ten years of doing this, There's always so much more to learn and improve upon. I have a few lovely ladies doing some sewing for me, too, making a few more samples, that I hope to be able to share with you soon. 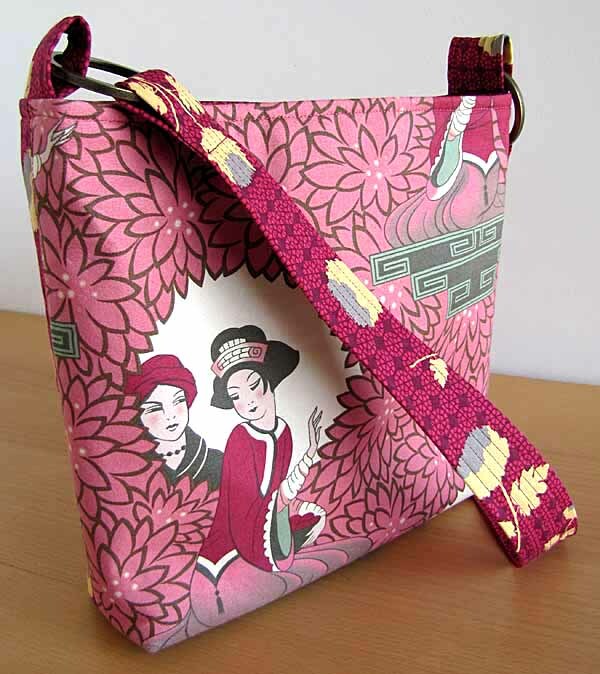 I've also just listed another Customised Bag in a Day workshop for 15th June, in my studio. If you'd like to brush up your bag-making skills and learn a few new tricks to tart up any old bag design, this one might be for you. 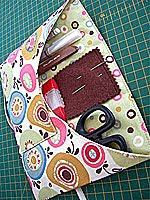 Oh... and I nearly forgot to mention... we have a last-minute place on this weekend's Purse Frames Class. 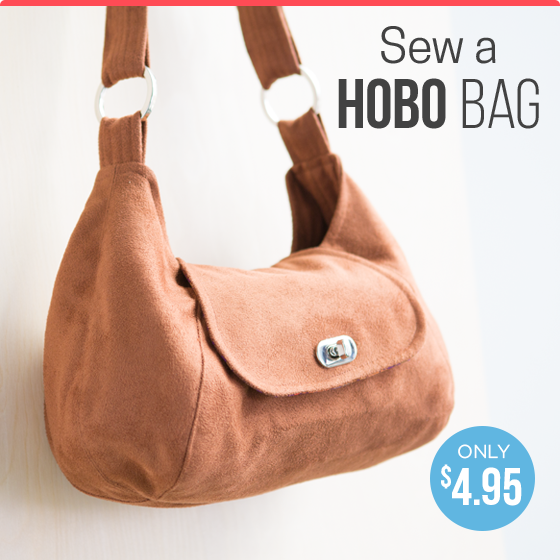 If you'd like to book in, we'll throw in a free purse pattern (up to the value of $35) for you! You can book here! Is there a pattern I can buy that would be the equivalent of the zippers class? or might that be in the new book? and you made me look at the new Riley Blake fabrics! hmpf. 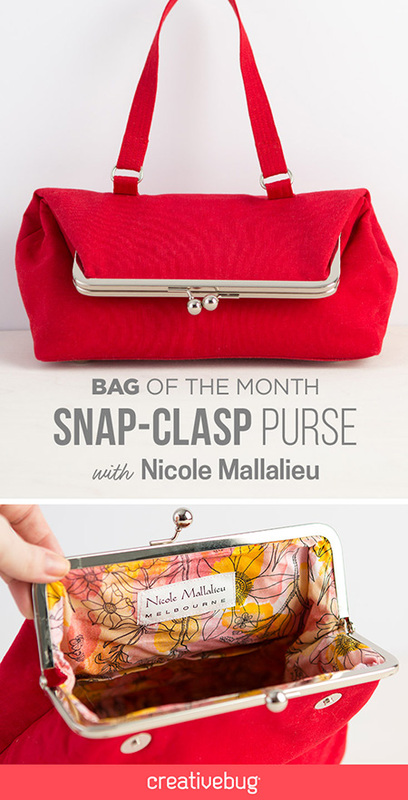 Loved looking at all these gorgeous bags! Loves the zips. Glad you,re getting smart and doing some outsourcing. I never get tired of seeing your bags! These are super! Your craftsmanship shines!